Samantha Rogers of CCWP will join us to help illuminate the multiple harms that incarcerated women and gender variant people face behind bars, as well as their dynamic resistance to everyday systemic control. We will highlight the absence of informed consent in prison and refuse to let women prisoners remain unseen and unheard. 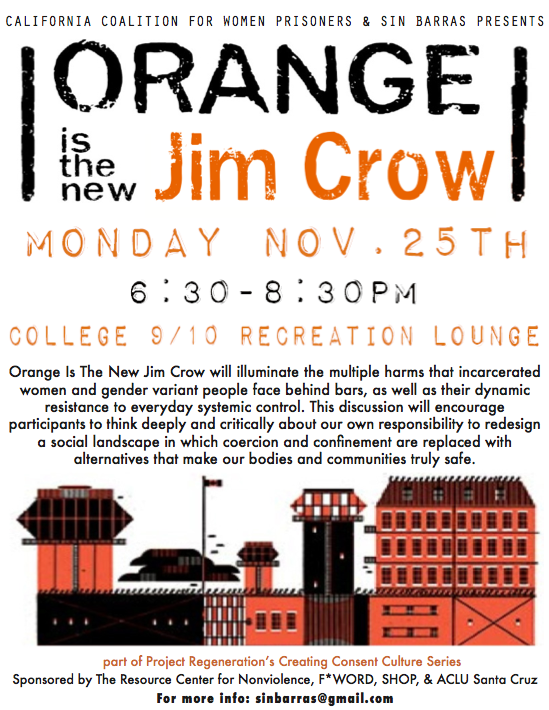 This discussion will encourage participants to think deeply and critically about our ownresponsibility to redesign a social landscape in which coercion and confinement–and especially punishment for profit–will be replaced with alternatives that make our bodies and communities truly safe.